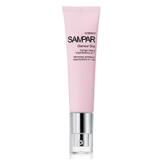 SAMPAR is the brainchild of Patrick Sounigo, a man of many talents. After completing six years of medical studies at Cochin Hospital in Paris, he decided to full-heartedly pursue his true calling and make cosmetology his main focus. In 1984, in the Saint Germain de Près neighborhood, he inaugurated the Institut Samuel Par, a one-of-a-kind skin pampering destination that was to become a “must” in the world of beauty. Here was offered an eponymous line of skin treatments developed with active natural ingredients. Samuel Par very quickly set itself apart with its never-before-seen concept: skin correctors, personally tailored treatments destined to equilibrate cutaneous imbalances of varying skin types. The year 2004 marked a turning point. Patrick Sounigo dreamt of an urban brand, one that would reflect its times. He was then introduced to Antoine Bouillot, a talented designer with a shared vision. Together they created SAMPAR, a brand with authentic and pure compositions, instilled with unparalleled elegance and built not only on the solid foundation of SAMUEL PAR but also around the lifestyle of the real Parisian woman. 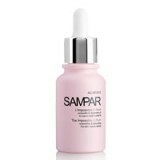 As of 2011, the brand SAMPAR is represented in over 1,000 select beauty locations in the world.